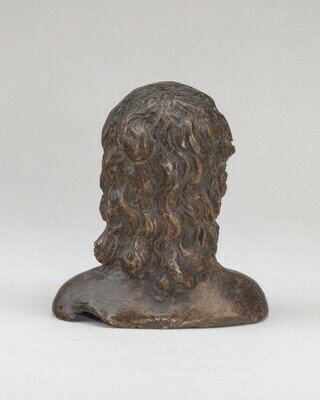 Gustave Dreyfus [1837-1914], Paris; his estate; purchased 1930 with the entire Dreyfus collection by (Duveen Brothers, Inc., London and New York); purchased 1945 by the Samuel H. Kress Foundation, New York; gift 1957 to NGA. Ricci, Seymour de. 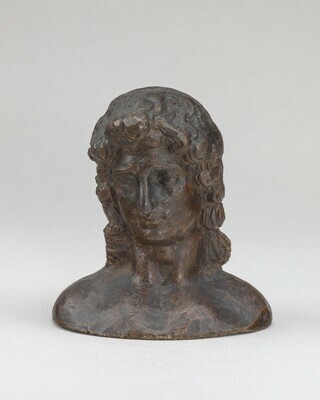 The Gustave Dreyfus Collection: Renaissance Bronzes. Oxford, 1931: 56, no. 47, pl. 28. Renaissance Bronzes: Statuettes, Reliefs and Plaquettes, Medals and Coins from the Kress Collection. Introduction by Perry B. Cott. National Gallery of Art, Washington, 1951: 138, repro. 29. Pope-Hennessy, John W. Renaissance Bronzes from the Samuel H. Kress Collection: Reliefs, Plaquettes, Statuettes, Utensils and Mortars. London, 1965: no. 496. Sculpture: An Illustrated Catalogue. National Gallery of Art, Washington, 1994: 189, repro.